The Interview, a new movie starring James Franco and Seth Rogen, has been getting a lot of buzz – but not for the right reasons. The premise of the comedy – that the two actors have been hired to assassinate Kim Jong Un, the leader of North Korea – did not sit well with the notoriously reclusive nation. In response, a group calling themselves the Guardians of Peace hacked Sony Pictures last month, crippling Sony’s computer systems and leaking nearly 38 million files, including emails, salary details, social security numbers and healthcare information for thousands of Sony employees and celebrities. The group also threatened a 9/11-type attack on theaters that showed the movie, causing Sony to cancel plans to release the film on Christmas Day. 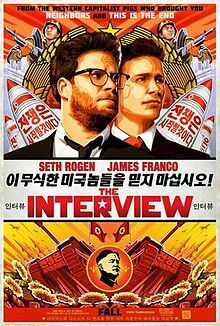 U.S. authorities confirmed this week that North Korea was behind the attacks, leading many to wonder about the implications of this unprecedented cyber attack for national security, internet safety and the future of the film industry. Drexel experts in areas ranging from cybersecurity to popular culture and film production weighed in. Does this go beyond the cyber attacks that have become common in recent years? Should a movie like this have been made in the first place? “Does this mean that every book, every movie, every news story, will have to be vetted so that an acceptable level of fear, or controversy, is achieved? America talks a great game when it comes to free speech, but it’s a wonder that we’re free to speak at all,” Bishop said. How will this impact on the future of the film industry? News media interested in speaking with these experts should contact Britt Faulstick at bef29@drexel.edu or 215-895-2617 or Alex McKechnie at ahm62@drexel.edu or 215-895-2705.